Got Wood Workshop started with a trip to the furniture store. I needed a full set of living room furniture. Like many people, I love the rustic style, but was appalled to see the prices of coffee tables that were made from "genuine imitation wood" with a rustic looking wood print on them. I said to myself, "I can do this". I went out and found a couple of pallets and after a few days, with no previous experience building anything, I had a rustic looking coffee table that was essentially free; the obsession grew out of control from there. After a couple of months I had made myself a full living room set of furniture and a desk for the office. I was so proud of myself and had to show it off to everyone; that's how Got Wood Workshop was born! 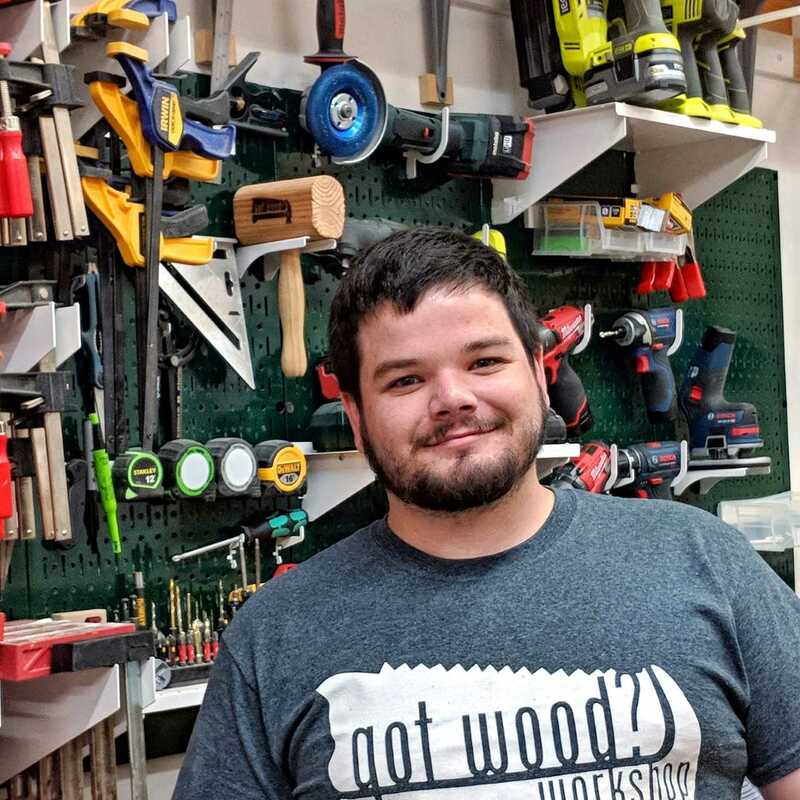 What Wall Control Pegboard Products is Matt from Got Wood Workshop Using?